In this years I/O Google displayed whats coming to the next wave of android. Google has lot to offer from dedicated VR platform, new chat applications to Amazon’s Echo like smart speaker. Below is the round up Google’s biggest announcements. Yesterday Google introduced Daydream, it is a new virtual reality platform built on the top of Android N. Unlike Google Cardboard, Daydream is a much powerful VR platform developed for mobiles. Google’s Daydream is a basically an advance version of Google Cardboard and it is not trying to compete with other VR platforms like Oculus Rift or HTC Vive. There will be a home screen with Apps on it something like we saw on Samsung’s Gear VR. Google has already developed some of its native apps for VR like Youtube, Street View, Google Play Store, Google Photos and Play Movies with some other companies like Netflix, Ubisoft and EA already developing for Daydream. Unlike Google Cardboard don’t expect it to wrok on every android device. Google Daydream will only work on the upcoming android phones which will have special sensors and display. Google is working with Samsung, Xiaomi, HTC, Huawei to make Daydream compatible phones, the Daydream ready phones will be available from this fall. Google also shared some design renders of Daydream dedicated headsets with a motion controller. Google also announced an update to Android Wear, it is the first major update since Android Wear has launched two years back. The new update doesn’t bring any drastic changes to the OS but it features some important changes that will definitely improve the user experience. According to Google this new update will make your smartwatch more autonomous by reducing the need of continuous smartphone and cellular data connections. The update also brings a new tiny swipeable keyboard and improvements in text to speech technology. Allo is a new Chat application from Google, it’s a mobile only app that you sign up using your phone number. It has some common messaging features like emojis, custome stikers with some added features like ability to draw on photos. What makes Allo diffrent from other messaging app is an integrated Google Assistant. Aside from that Allo also has an incognito mode, end to end encryption, private notifications and expiring messages. Duo on the other hand is a Video calling app much like Apple’s Face Time. It is very simple and very fast. When you open the app it present you with a selfie camera and contact list with bubbles. You can swap the camera anytime or use the conference call. It is also allows you to change the network from WiFi to mobile data without loosing the connection. Google Duo is mobile only app which comes under just 5 megabytes and is available on both Android and iOS. 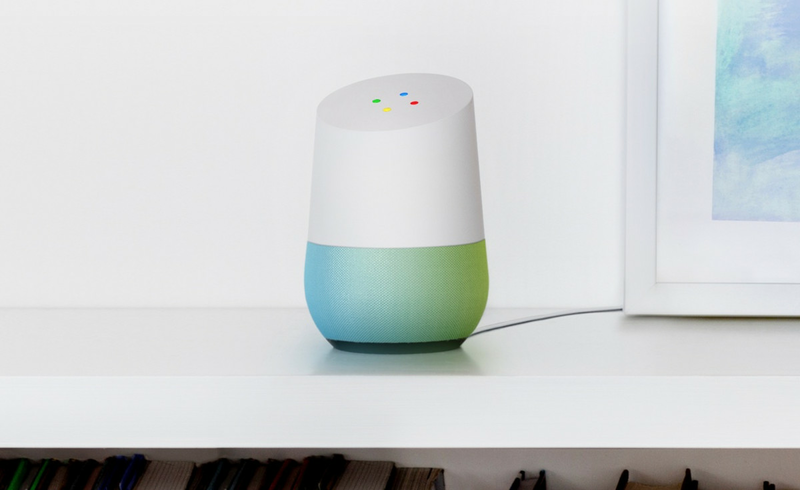 Google Home is a new home assistant, a small speaker which is always listening to you and responding to your queries. Exactly like Amazon’s Echo and it will work in a similar way. It is a mall cylindrical speaker available in various shells to match your room. Home is built on the Chromecast standard which lets you control Nest devices and is integrated with services like Soptify. Google also announced the improved version of Android Auto with Traffic alert app Waze integrated into it. Waze provides the drivers information about traffic alerts and speed traps. The new Android Auto can now directly connects to your car using WiFi where the previous version required USB for connection. You can use Android Auto even if your car doesn’t support the system by using it on the phone itself. Android Instant App is the new feature which allows you to use only the certain part of the apps, it means you don’t have to download the complete app if you want to use it only for one feature. It will only grab the part of the app which is necessary to complete the task instead of downloading the full fledged app. With all this new announcements like VR, Messaging apps, Home automations and collaborations it is very clear that Google is ready to take the risks and spread into other areas. Google is trying to become more than just a software company with few native apps. Daydream requires special sensors and better hardware and by introducing it Google has again started the specification game that every smartphone manufacturer will try to achieve.